The LSAT is a crucial part of the Law School admission process. It essentially provides a way to measure the reading and verbal reasoning skills of an individual in order to access law school applicants on a standard basis. The LSAT test consists of 5 separate 35-minute sections of multiple choice questions. These sections include a section dedicated to reading comprehension, one section dedicated to analytical reasoning, and two sections dedicated to logic. The LSAT is specifically designed to help measure various skills that are essential for being able to achieve success in law school. The reading section is meant to determine whether or not one is capable of comprehending complex texts with proper accuracy and insight. The other sections are meant to figure out whether or not the applicant has the capability to think analytically and evaluate the reasoning and argument of others. It is a test that every law school applicant must take and pass. It is said to be one of the more difficult admissions tests that are required for any type of program. Therefore, a lot of students end up studying for months in order to properly prepare themselves to take this kind of test. If you are planning on taking the LSAT yourself, you are going to want to be sure to take some sort of preparation course in order to properly prepare yourself for it. There are a variety of exercise and preparation tricks that you can implement in order to ensure that you are ready to take and pass it. 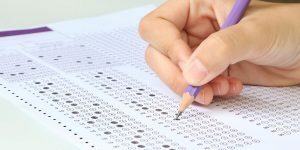 You should be ready to take the test under time constraints and you will want to take a practice test in order to actually fully prepare yourself for the kind of stress that you can endure while taking the test.